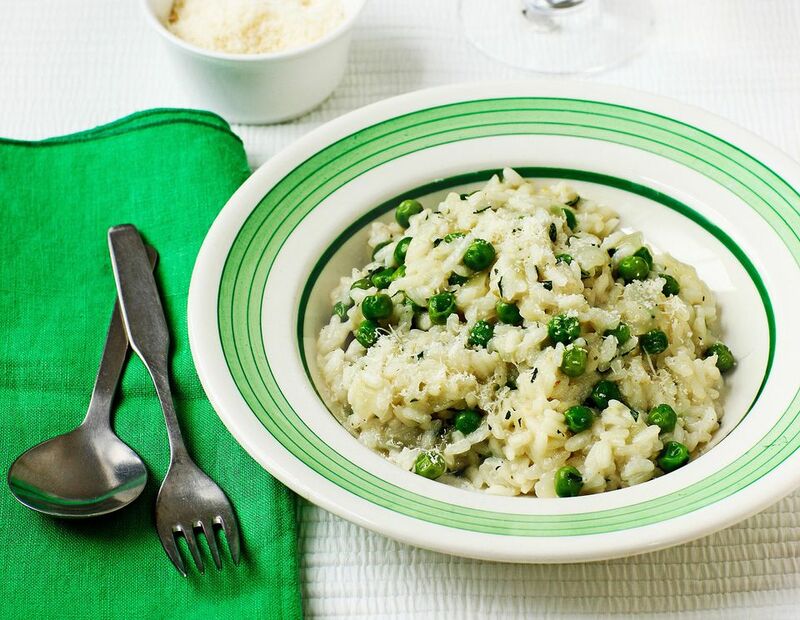 Creamy rice pilaf with peas is an easy and quick side dish recipe that combines peas, sour cream, and onions with tender rice. This is easy to make and adds a nice touch to any simple main dish, such as grilled steak or roasted chicken. You can use brown rice in place of white rice if you'd like, but the cooking time will be longer. It usually takes about 35 minutes for brown rice to become tender. You could also use chicken broth in place of the vegetable broth for a change of flavor. Other herbs would also be delicious in this recipe; try marjoram or basil. You can even make this recipe into a main dish if you add some cooked chicken, ham, or shrimp to the dish. Add the meat along with the peas so it gets nice and hot. In a heavy saucepan, melt the butter over medium heat. Add the onion and garlic; cook and stir until tender, about 6 minutes. Add the rice and stir for 2 to 3 minutes to coat with butter. Add the broth, salt, pepper, and thyme to the rice mixture and bring to a simmer. Reduce the heat, cover, and simmer for 18 minutes until rice is almost tender. Stir in the peas; cover and cook for 3 to 5 minutes longer until peas are hot and rice is tender. Stir in the sour cream and cheese; cover the pan and remove from heat. Let the rice pilaf stand for five minutes, then stir gently and serve.